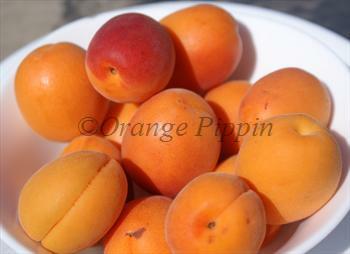 Tomcot is a modern large-fruited apricot variety, and one of the best-suited to temperate climates. It can be grown with some success in most southern and central areas of the UK. Unlike shop-bought apricots which are usually picked slightly under-ripe and tend to have a yellow skin, home-grown apricots will usually have an orange/red colouring - and Tomcot will become a dusky red colour when fully ripe. Tomcots ripen from the middle to end of July in the UK. 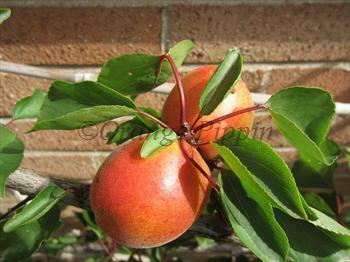 If it looks like the fruit is not going to fully ripen, leave as late as possible and then pick and ripen indoors. If you are looking for something a bit different for your garden or home orchard, Tomcot makes an interesting choice. For the best results train it as a fan against a south-facing wall. Tomcot® is a protected variety. Please fill in the details below and we will let you know when Tomcot apricot trees are back in stock. Has a long flowering period.? Tomcot is in flowering group 2. Tomcot is self-fertile and does not need a pollination partner, although fruiting may be improved if there is a compatible tree of a different variety nearby. Whilst most apricot varieties will only succeed in the UK and northern Europe if grown as a fan on a south-facing wall, Tomcot can also be grown as a free-standing tree provided you have a sheltered spot with a sunny aspect - but if in doubt, fan-training is a safer bet. A mature tree will produce several hundred fruits in a good year. As the fruitlets form, thin the clusters to 2-3 fruits per cluster. The main challenge for growing Tomcot in the UK is that it flowers (like all apricots) very early in the spring, at a time when there are few insects around and there is a risk of damage to the blossom from frost. A good spring is a big help, but if you are growing against a wall you can help protect the blossom by covering with a frost-protection fleece if frost is forecast overnight (remove it during the day). Tomcot is self-fertile so does not need a pollination partner, although cropping is improved if there is another apricot variety nearby. In a good spring Tomcot can produce a lot of blossom and a heavy fruit set, in which case some thinning may be useful - this ensures larger fruit size of the remaining fruits, and, more importantly, maximises the flavour. Tomcot prefers well-drained soil, and does not tolerate water-logging (but is drought tolerant). 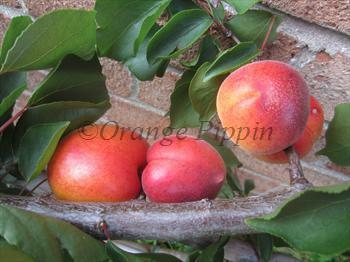 Whilst most apricot varieties are hardy trees, bacterial canker is a potential problem. However the simple precaution of keeping pruning to a minimum and only pruning in late spring will minimise the risk. Training and Pruning for 1-year old trees. If you are planting a 1 year-old tree (either a bare-root tree or a tree supplied in a 3L container) in open ground, start by cutting the stem back to about 30" / 75cm above the ground immediately after planting. This will encourage branches to emerge the following spring and summer. Developed at Washington State University, USA, in the 1980s and released in 1996.